Identifying the critical path is a major concern to the project manager because any change in the duration of the activities or tasks on the critical path will affect the project's schedule. In other words, the critical path has zero slack (or float). Slack, which is sometimes called float, is the amount of time an activity can be delayed, that is, take longer than expected, before it delays the project. For example, Activity E is not on the critical path. In fact, the only path that includes Activity E is Path 5. Subsequently, the start of Activity E could be delayed for two days or take up to three days to complete before the project schedule is affected. On the other hand, Activities A, B, D, G, I, and J have no float because delaying their start or taking longer to complete that we estimated will increase the total duration of the project by the same amount. As a result, knowing the critical path can influence a project manager's decisions. 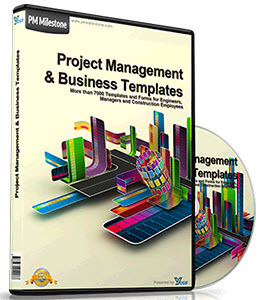 For example, a project manager can expedite, or crash, the project by adding resources to an activity on the critical path to shorten its duration. The project manager may even be able to divert resources from certain activities, for example, Activity E because this activity has some slack or float. Diverting resources will reduce the overall project schedule, but keep in mind that there may be a trade-off—shortening the schedule by adding more resources may inflate the project's budget. Another way to shorten the project schedule is to look for parallel activity opportunities. Doing two, or several, activities that were originally planned to be completed in sequence at the same time can shorten the critical path. It is known as fast tracking the project. Can the critical path change? The answer is absolutely! As a result, it is imperative that the project manager not only identify the critical path, but also monitor and manage it appropriately. 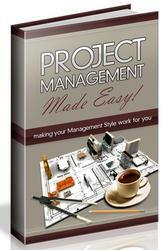 In fact, it is very possible for a project to have more than one critical path. PERT Program Evaluation and Review Technique (PERT) was developed in the late 1950s to help manage the Polaris submarine project. At about the same time, the Critical Path Method (CPM) was developed. The two methods are often combined and called PERT/CPM. PERT uses the project network diagramming technique to create a visual representation of the scheduled activities that expresses both their logical sequence and interrelationships. PERT also uses a statistical distribution that provides probability for estimating when the project and its associated activities will be completed. This probabilistic estimate is derived by using three estimates for each activity: optimistic, most likely, and pessimistic. An optimistic estimate is the minimum time in which an activity or task can be completed. This is a best-case scenario where everything goes well and there is little or no chance of finishing earlier. A most likely estimate, as the name implies, is the normally expected time required to complete the task or activity. A pessimistic estimate is a worst-case scenario and is viewed as the maximum time in which an activity can or should be completed. For example, on our project used earlier, a project manager and team came up with the estimates presented in Table 7.3. Analyzing the various paths using PERT provides the critical paths presented in Table 7.4. As can be seen in Table 7.4. the critical path is still Path 4 and the expected completion date of the project is 20.5 or 21 days if we round up. In this case, the deadline increased from nineteen days using the AON method to twenty-one days using the statistical technique associated with PERT In the first case, the most likely estimates were used, while PERT took into account not only the most likely estimates, but also optimistic and pessimistic estimates as well. PERT is well suited for developing simulations whereby the project manager can conduct a sensitivity analysis for schedule planning and risk analysis. But, like any planning and scheduling tool, its usefulness is highly correlated to the quality of the estimates used.